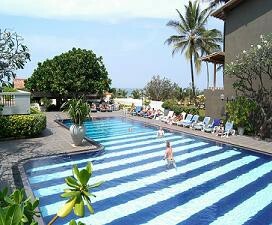 The resort offers a convenient place to recuperate after a long flight, being just 10 mins drive from the international airport, but has also been growing in popularity in the past two years as a destination in its own right, thanks to a concerted effort to maintain the local environment, especially the beach. 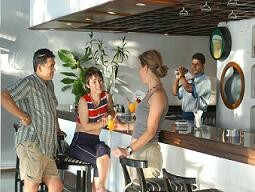 There is also an increasingly vibrant atmosphere with the emergence of new bars and restaurants. 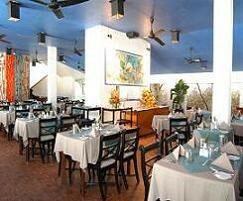 The Blue Oceanic, with its Mediterranean feel, is a well-managed mid-range property with 108 air-conditioned rooms. 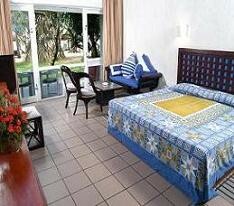 The rooms, comfortable with simple furnishings, are somewhat tired, but all have a balcony or terrace orientated towards the sea. The pool area has been refurbished and will be loved by loyal sun worshippers. 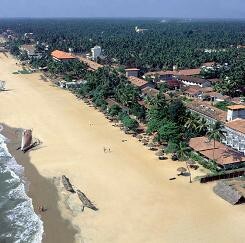 The hotel looks out onto the best section of the Negombo beach, which is spotlessly clean. Thatched umbrellas and palm trees provide shade from the tropical sun.